Mix your desires with our separable clothes! Choose your colours and create a unique clothe for woman. Mix your desires with our separable T-shirts! Choose your colours and create a unique short-sleeved T-shirt for woman. Mix your desires with our separable Sweat-shirts! 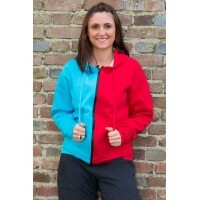 Choose your colours and create a unique Sweat-shirt with hood for woman.